We are a group of idealists believing in our ability to solve complex marketing problems. Experience told us we were not right all the time but we were mostly. 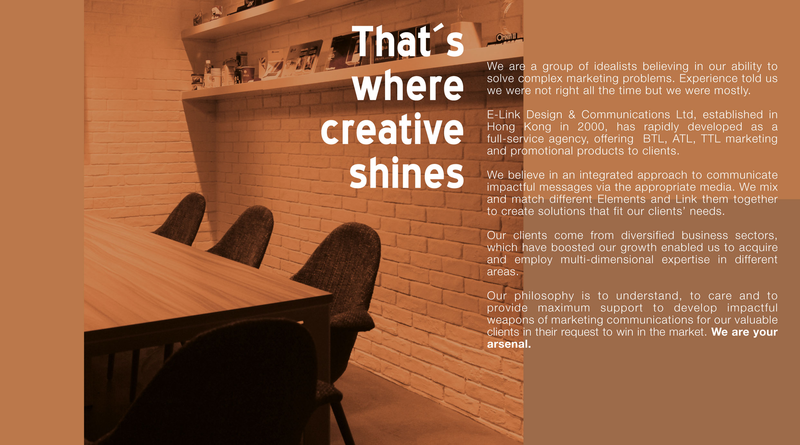 E-Link Design & Communications Ltd, established in Hong Kong in 2000, has rapidly developed as a full-service agency, offering BTL, ATL, TTL marketing and promotional products to clients. We believe in an integrated approach to communicate impactful messages via the appropriate media. 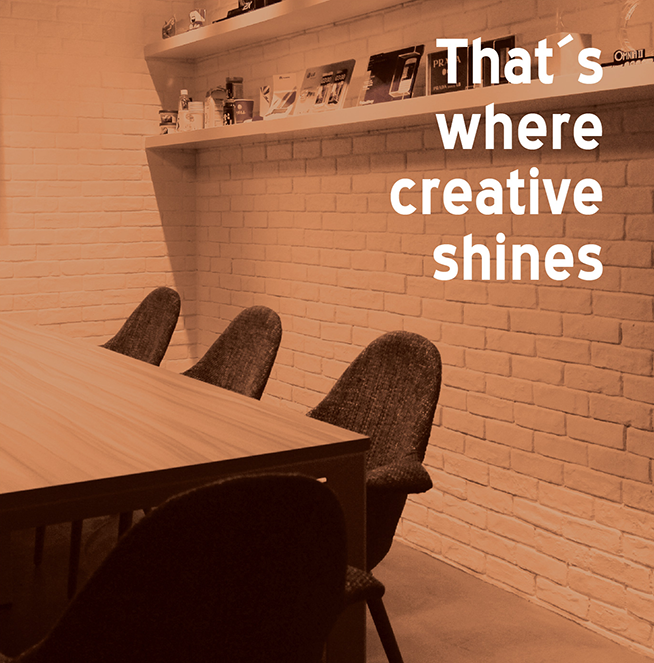 We mix and match different Elements and Link them together to create solutions that fit our clients' needs. Ours clients come from diversified business sectors, which have boosted our growth enabled us to acquire and employ multi-dimensional expertise in different areas. Our philosophy is to understand, to care and to provide maximum support to develop impactful weapons of maketing communications for our valuable clients in their qust to win in the market.We are your arsenal. Our philosophy is to understand, to care and to provide maximum support to develop impactful weapons of maketing communications for our valuable clients in their request to win in the market.We are your arsenal.